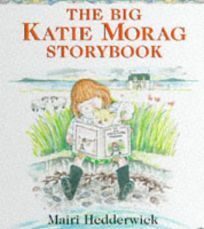 no girl is an island Irish heroine Katie Morag is the subject of three new stories and a handful of light rhymes in Mairi Hedderwick's The Big Katie Morag Storybook. The book introduces Katie's island home and its many inhabitants, including its cats. Hedderwick's cheerful, lively cartoon illustrations make life on the Isle of Struay seem anything but sleepy.